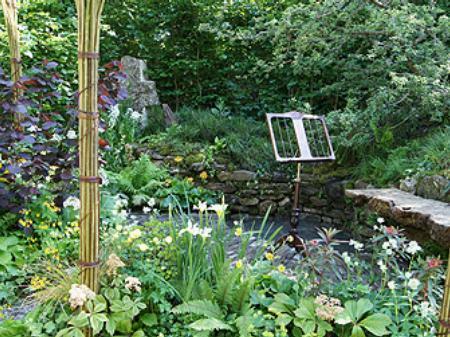 As part of its tenth birthday celebrations the Two Moors Festival has a garden at the 2010 Chelsea Flower Show, to highlight the links between music, flowers, gardens and the open countryside. The sole aim of the festival was to bring people back to Dartmoor and Exmoor following the Foot and Mouth devastation. Before a concert at Culbone church - the smallest parish church in the country. It seats 30 people. Tasmin Little and Natalie Clein have played there! The Two Moors is a festival that roves the South West countryside, mapping a different route every year. Two Moors Festival Chorus in Exeter Cathedral. Colin Webber tuning the new Bösendorfer Imperial Concert Grand. Learning to play the trombone with a hosepipe! Workshop March '09 at Exford Church of England Primary School.